Onsite IT Support , Mobile IT Support and Call Outs are usually not necessary in 75% to 90% of all IT and Computer problems. They can normally be fixed remotely (Remote Support) or by offering solutions over the telephone or email. When this is not possible we may need to send a technician to site to fix the problem. Certain computer and IT problems will require an “Onsite Support Visit” or “Call-Out” at the clients personal residence or business premises. Internet and Wi-Fi issues, Printer/Scanner issues, Network wiring and cabling issues and unresponsive computers and devices. The latter can also be fixed more economically by bringing the equipment to our workshop in Subiaco. 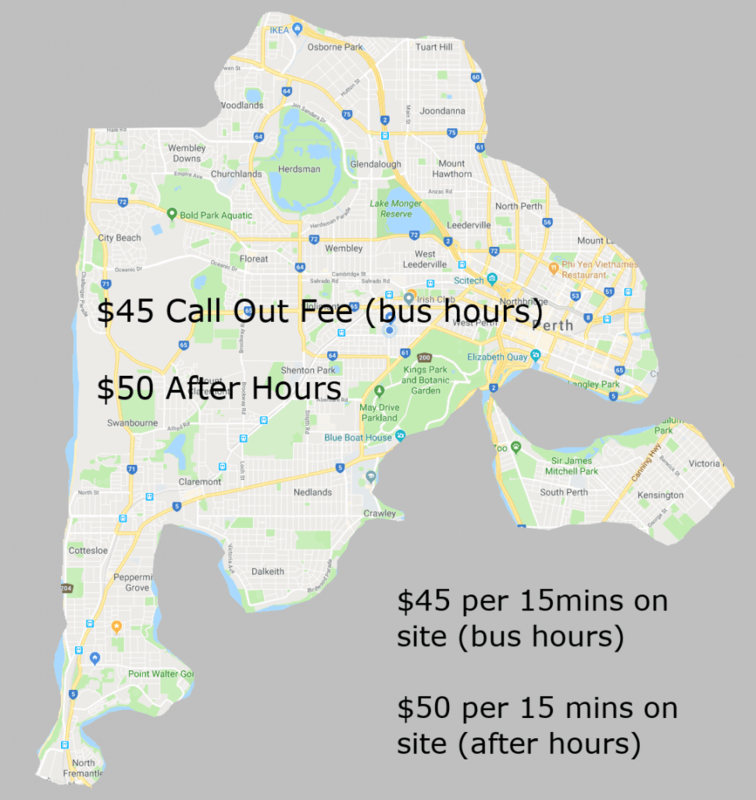 An onsite visit fees comprises of travel-time and onsite-time.